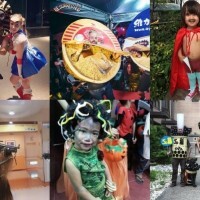 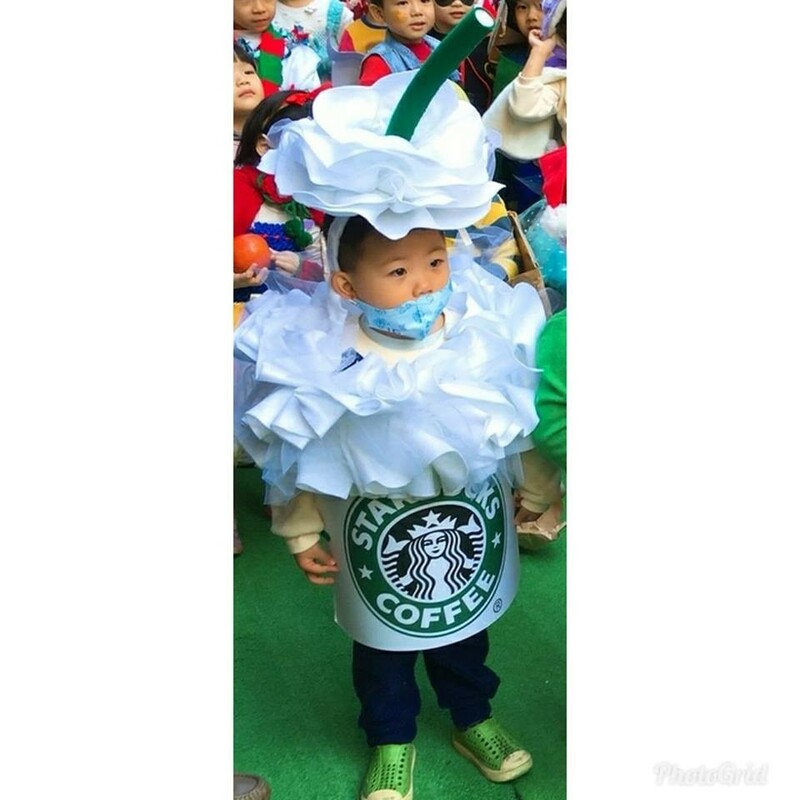 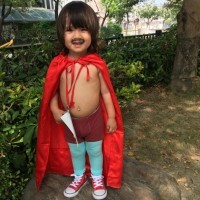 TAIPEI (Taiwan News) -- As Taiwanese post photos of cute kids decked out in creative Halloween costumes seen over this past weekend, an image of a little girl's creative Starbucks siren costume has been one of the most liked and shared so far this year on social media in Taiwan. 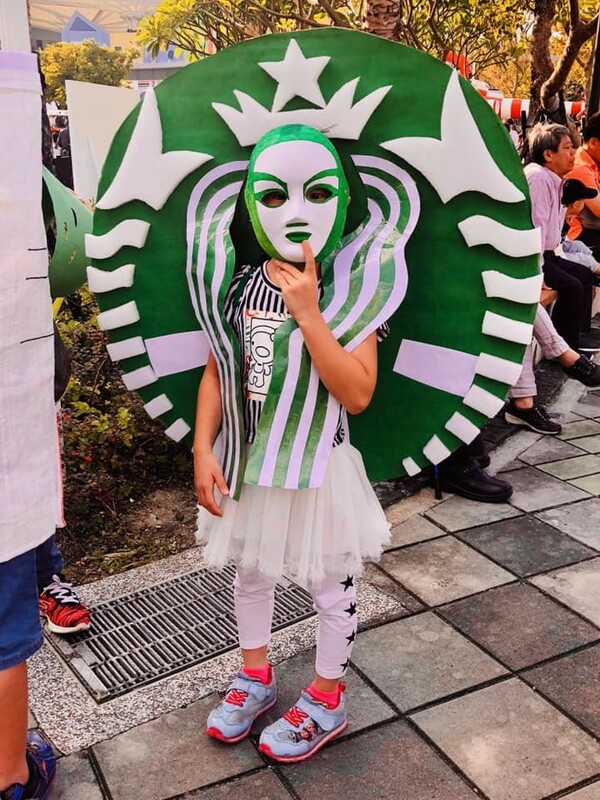 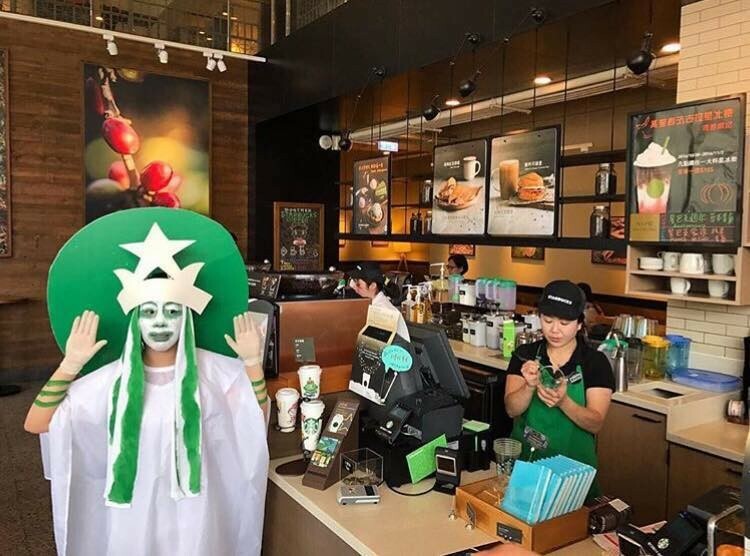 On Sunday (Oct. 28), a member of the Taiwanese Facebook group Breaking News Commune (爆料公社) posted a photo of a girl dressed as the Starbucks siren and wrote "I just saw this familiar signboard on the road. 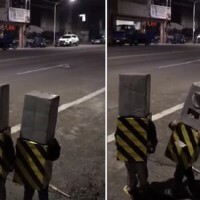 This parent is too creative!" 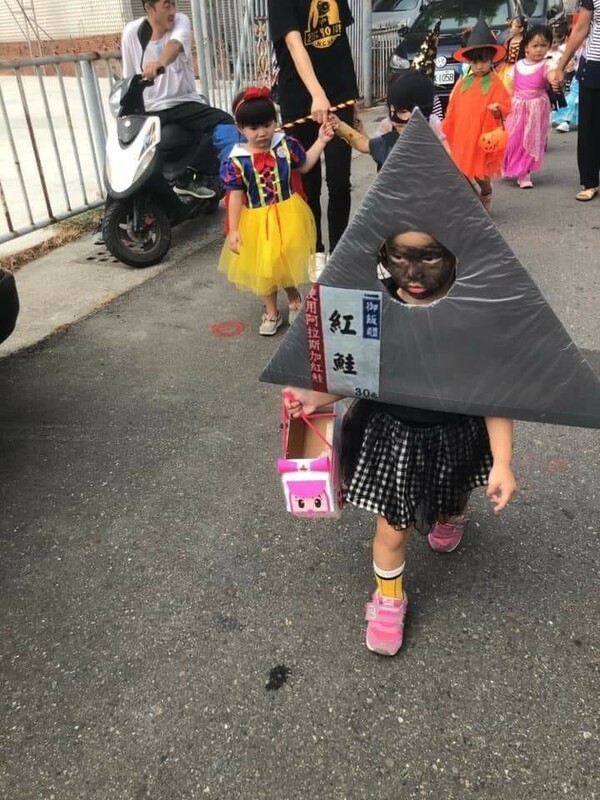 Over the past two days since it was posted, it has received 11,000 likes, 275 comments, and 290 shares. 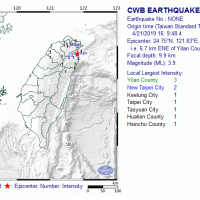 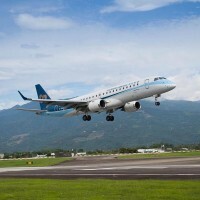 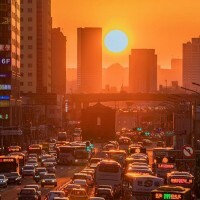 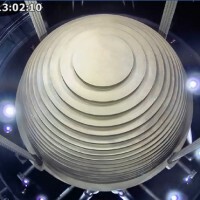 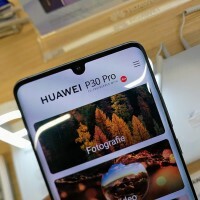 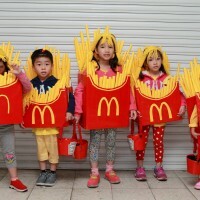 The costume was reminiscent of an outfit worn by a 24-year-old kindergarten teacher in Taiwan's northern city of Jhubei City in Hsinchu County in 2016. 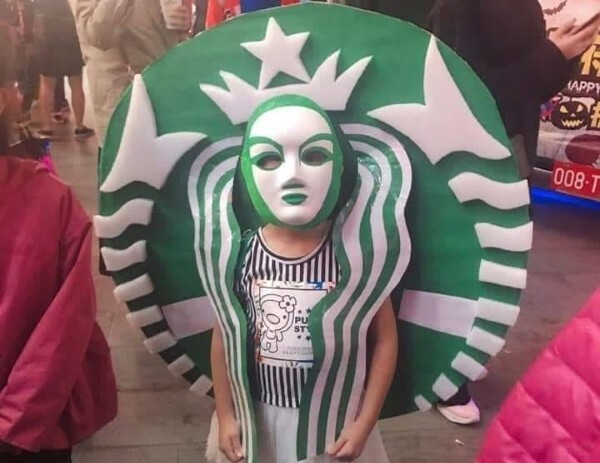 However, the child's costume is arguably more impressive because it is far more elaborate and much closer in design to the original logo. 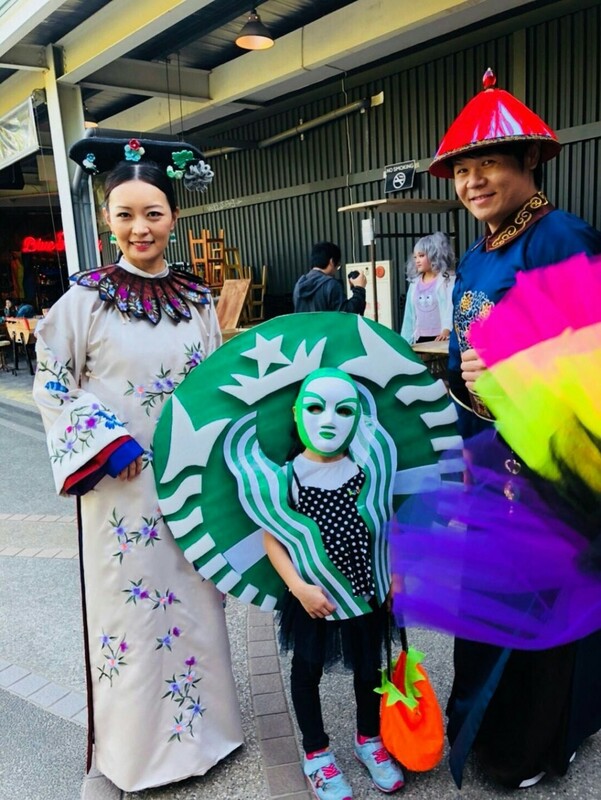 The child was spotted at the Halloween Magic Party in Taipei's MAJI Square, which was held on Oct. 27 and 28 from 1 p.m. to 8 p.m.
Starbucks siren gets transported to the Qing Dynasty. 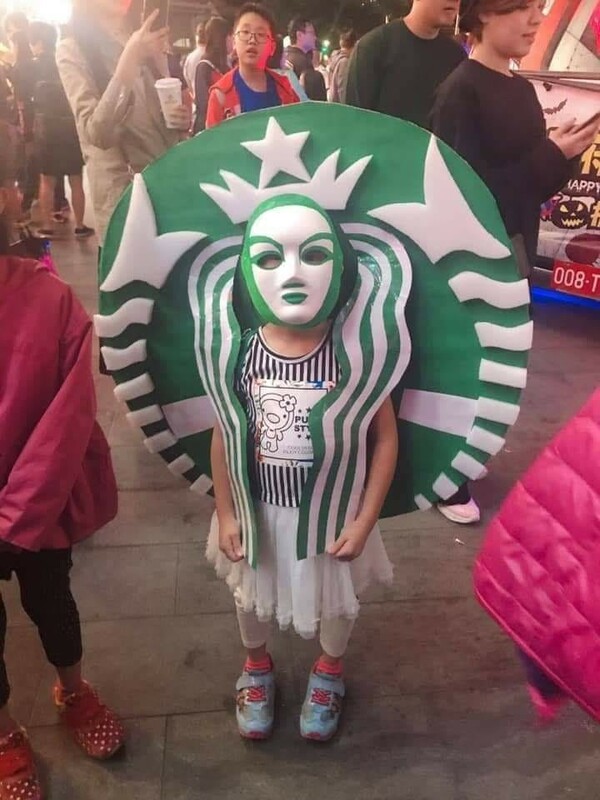 Another child was spotted dressed as a frothy Starbucks Frappuccino, complete with straw. 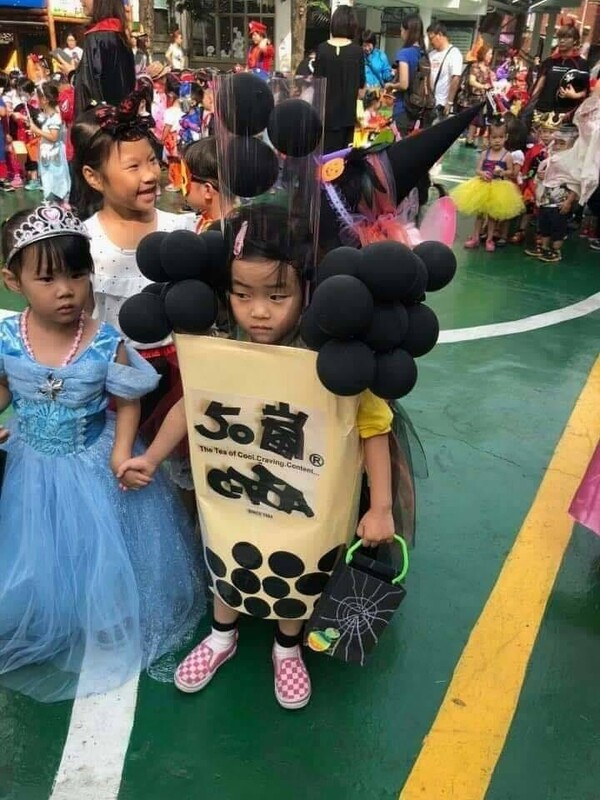 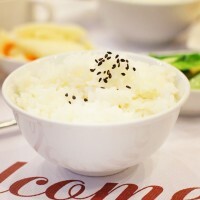 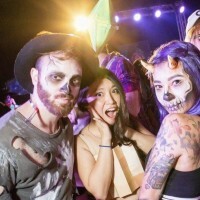 Following the food and beverage theme, some other creative costumes spotted over the weekend included a girl dressed as a 7-Eleven onigiri (Japanese rice ball) and another little girl dressed as a cup of 50 Lan (50嵐) bubble tea.